When you are down with a cold, it's a good idea to take it easy as your body's experiencing a lot of stress. But it definitely doesn't mean you should vegetate in your bed until the cold's completely gone. If you're used to exercising regularly, you might become despondent while your body's healing. It is however important to be flexible with your routine when you are sick. Research has shown that when someone has a cold, it is still safe to do some exercise. Precision Nutrition agrees, cautioning that a structured workout routine – which includes strenuous exercise, heavy breathing, sweating, and some discomfort – triggers a stress response in the body. When you are sick, this stress may be more than your body can handle, because of the added stress involved in fighting off the virus, bacteria, or parasite that's making you ill. Strenuous exercise should therefore be avoided, but you can certainly remain active while you have a cold. Unless you have an underlying medical condition such as asthma or heart disease, light to moderate exercise is unlikely to cause any complications. But which exercises are safe? 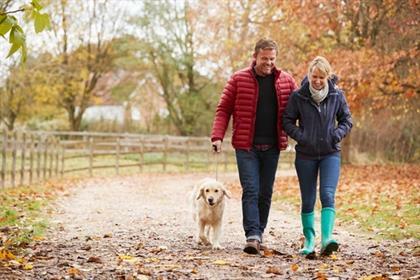 Walking won't compromise your energy levels when you have a cold. You can safely walk for 20 minutes without putting too much strain on your body. 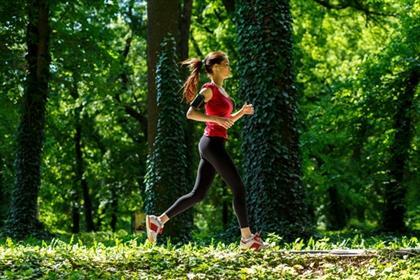 Jogging: If you are a runner and don't have any aches or pains, you can do some light jogging. However, if you find that it's too much for your body to handle, stop immediately. Yoga works wells as it offers stress-relieving techniques and can help with insomnia, anxiety, and back pain. It also improves strength, flexibility, and fitness. Dancing can be fun and lift your mood when you are feeling down; it can also help to relieve stress. A study found that people who merely listened to 50 minutes of dance music had lower levels of cortisol and an increase in cold-fighting antibodies. Eat and drink after exercising. Wash your hands after using gym equipment. Get out of your damp clothing as soon as possible. SEE: Why do I get asthma when I exercise?